This is a repeat topic, but as it was last looked at over a year ago, I'd say it's fair game! So this time around, I asked our contributors to share their favorite indie/small press/self published books. Big publishers get a ton of love, so let's celebrate the little guy. Check out our selections and let us know what you think in the comments. This week's BBE choice is a recent book I just finished with an author that I feel everyone should already know about and be reading all her books. Something Great is Mary Ting's new adult book, this is her first time writing NA and she did a wonderful job with it. Mary has a YA series called Crossroads that should be read by all too. I'm definitely partial, because they've printed my own short stories, but I love Elephant's Bookshelf Press. EBP is a new imprint that began by printing themed anthologies based on the seasons. I have a YA short story in SPRING FEVERS, a one-act play in THE FALL: TALES FROM THE APOCALYPSE and a short story in the newest publication, SUMMER'S DOUBLE EDGE. But I'm not the only voice in these collections. EBP does an excellent job of giving undiscovered writers a chance to show their chops, and readers the chance to hear some fresh new voices. The indie/small press/self-pub market is growing so much, and there are some truly awesome books out there that have captured my imagination (and fangirl-dom). I think my favorite right now is Atone by Jessica Grey. Atone is the second of Grey's fairy tale retellings, set in modern day Los Angeles, and it is amazing. 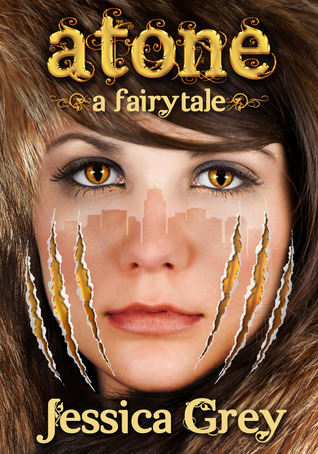 Picking up a bit after Awake, Atone is Becca's story -- and it's "Beauty and the Beast" like you've never read it before. Holy. Wow. I love this story, so much. Definitely a worthy addition to the indie market! My favorite small press book is DRIVE by James Sallis, published by Poisoned Pen Press. This is the novel the 2011 film starring Ryan Gosling was based on. It is the gritty, seat-of-your-pants story of Driver, a stunt driver by day and getaway driver by night, who finds himself caught up in a robbery gone wrong. The novel is a fast-paced thrill ride, a gripping mingling of violence and introspection. 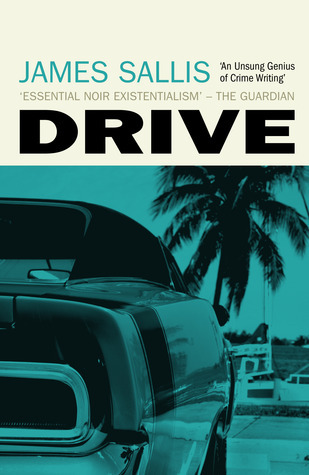 Driver is a character I find myself drawn to, despite his cold, detached exterior. Written in Sallis' stark manner, this modern-day pulp novel screams off the starting line, barreling toward an ending you won't soon forget. Yeah so I totally missed this one. BUT I loved The Seventh Blessing by Melissa Buell! Watch for my review on it soon!